Wedding speeches come in many shapes and sizes. Some make us laugh, others make us cry. Then there are those which force us to smile through tears of joy. There is so much emotion behind every wedding speech. Whether it is the best man telling the guests about the groom, or a family member making a speech and blessing the couple, there are so many emotions that everyone present goes through. A wedding speech is a time for people closest to you to send you off with kind words and best wishes. For some it is a time to tell long forgotten stories, while for others it is an opportunity to raise a toast to the bright future of the couple. 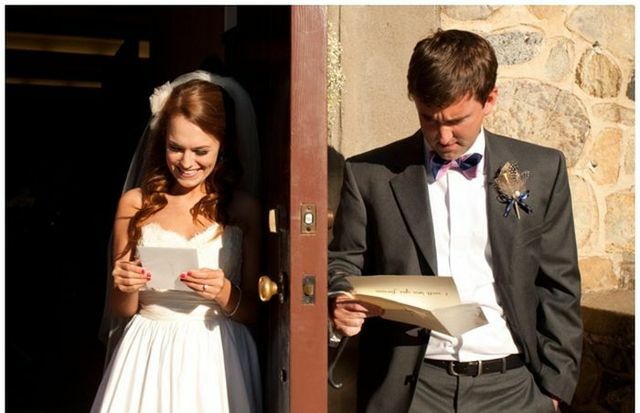 The best man speech is often lighthearted, and a perfect example of storytelling when done right. The father of the groom speech on the other hand is primarily about the past and usually a summary of how the little boy grew up to become a person who will hopefully take excellent care of his new wife. The mother of the groom speech conveys a similar message and is also an invitation to the bride to come join her new family. On the bride's side, the mother of the bride speech is about farewells and tears of joys. It is a bittersweet prose that leaves everyone emotional. The father of the bride, always reserved and proud, also talks about the joy of seeing his little angel grow into this incredible woman. He stays composed even as he hands over his flesh and blood to a stranger. At the end of the day, they are just words. Even the groom's speech is ultimately just a string of words. But if there is one thing that history has taught us, words have incredible power. They move us, jolt us, inspire us and drive us. The emotions that they can convey, the feelings that they can invoke, and the bonds that they can create are the real reason why wedding speeches are so important and have been a part of the wedding tradition since time immemorial. Words. They are promises made to new family members and friends. They are farewells said to old friends and the family one grew up with. Most of all, they are promises made in front of everyone present. The most important speech at any wedding, after all, is made up of just those two words – I do!